KATHMANDU, Jan 31: Although excited by the recent progress made by the Melamchi Water Supply Project (MSWP), Asmita Yadav, who lives in a hostel at Thapagaun, could not hide the exasperation in her face while treading along the Hanumansthan-New Baneshwar road. 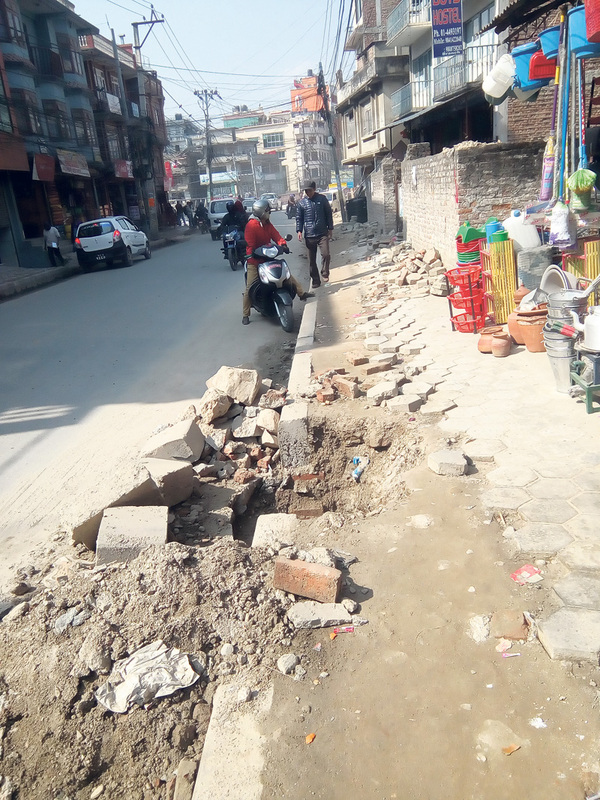 The road stretch has become a nightmare for the locals thanks to the digging by the Kathmandu Upatyaka Khanepani Limited (KUKL), which has been laying the pipeline for the MSWP. After digging the roads and laying pipes, Project Implementation Directorate (PID) of KUKL has filled the pits with just mud, though their contract specifically mentions that they have to restore the roads back to its previous condition once the work is complete. 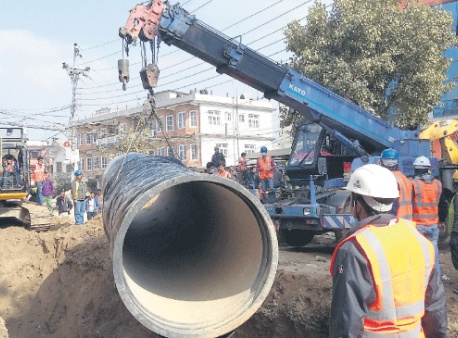 “I get it – they have to dig roads to lay water pipes for MSWP, which plans to supply drinking water to thousands of residents living in Kathmandu Valley,” said Yadav, who is currently pursuing her bachelor's in nursing at Everest College of Nursing, Tinkune. “But after they are done with laying the pipes, shouldn't they restore the roads in their previous conditions? Or is it too much to ask?” she vented her frustrations. In Hanumansthan, pedestrians are forced to walk through the middle of the road as the PID has not repaired the sidewalks. The sidewalks tiles dug up by the project lay strewn all over the road. Such poor condition of the road has been playing catalyst role in creating traffic snarls. Pedestrians prefer walking on roads due to difficult condition of footpaths. As pedestrians occupy roads, passage of vehicles gets obstructed, creating never-ending traffic snarls during peak hours. Hanumansthan-New Baneshwar stretch is just one example. Many road sections, including JP Marga road at tourist-hub of Thamel among others, that were dug up by the MSWP have been left unattended. As a result, thousands of pedestrians like Yadav have been suffering. In some cases, big holes dug by the project have not even been refilled with mud, putting the lives of pedestrians and motorists at risk. 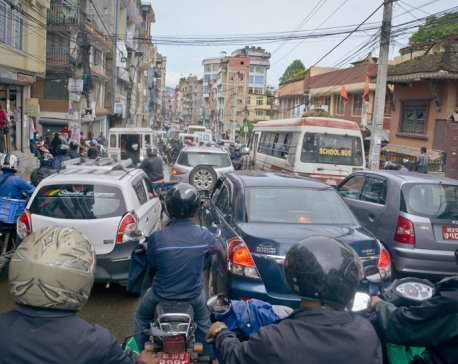 However, PID spokesperson Lila Prasad Dhakal said roads need to be compressed by walking or driving over them before they can be restored back to their previous conditions. “Pedestrians and vehicles need to walk on the mud of the roads to compress and level it. Only then we can work on restoring the roads to their previous conditions,” he said.